So my dad is a champion Easter bunny. Which is funny because he’s not really a holiday kind of person. But the man can hide Easter eggs and baskets like no one else. When I was a kid our Easter egg hunts were not like the kind where you run out on the lawn and there are eggs just sitting there. His best hiding place of all time? He’d take the lightbulb out of a lamp and then perch the egg where the bulb was supposed to be. Genius! (and really only appropriate for older kids, that’s too hard for the littles to find, I’m sure.) One year my Easter basket was in the basement behind the furnace. And my brother’s was INSIDE the closed fireplace. Which we were obviously generally not allowed to open. So after like an hour of fruitless searching, we asked, “Is it in the fireplace?” And my dad said “No.” Can you believe it?!?!?!?! We eventually found it but not without a lot of frustration (much to his delight). But my all-time favorite Easter gift was when I was about 5 or 6, the Easter bunny brought me what I thought was the most beautiful umbrella EVER. It was clear plastic with rainbow hearts and a red handle. Perfectly, wonderfully 80’s in every way. And I thought it was amazing. The “Easter Bunny” hid it in the refrigerator. I spent a while looking for that one too. So anyway, I’ve always had fond memories of Easter and I LOVED dying Easter eggs. So many options! I used to do it with my friend L and then when we ran out of eggs we’d use the leftover dye to tye dye paper towels and then clip them to a string to make a beautiful rainbow garland.There were none of those silly cheater stickers that they have nowadays and it was a marvelous day-long craftstravaganza. But now, as a grown-up, I have a problem. And the problem is this: Aa HATES hard-boiled eggs. Like hates them with a fiery burning passion kind of hate. In fact, it’s funny that he’ll even eat other kinds of eggs given his level of hate and because both of his parents were egg haters. But hard-boiled eggs are his nightmare. Like he literally shudders when you talk about them. I think that scene in Cool Hand Luke where Paul Newman eats 50 of them in a hour is probably one of worst things he can imagine. Except maybe for egg salad. He REALLY can’t handle that! So although I do eat them occasionally, we don’t need to be stuck with a dozen hard boiled eggs. And anyway, I always though it was weird how they’d be out un-refrigerated and then you’d still eat them later anyway. yuck. So I wanted an alternative to the colorful plastic eggs this year. 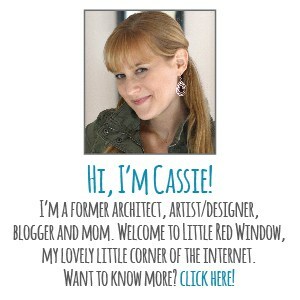 And I think my current favorite color combo right now is craft paper neutral brown with bright white accents. I love the contrast. I love the natural feeling. I love the texture of the craft paper surfaces. And you know I love recycled materials. And I love that lace is in right now. So I dreamed up these beautiful eggs and they turned out even better than I had hoped! First I’m going to quickly tell you how I made the nest because I know I’ll get questions about it and it was incredibly quick and easy. First cut a paper grocery bag into strips that are about 1/4 inch wide and 3-4 inches long. I used one from Trader Joe’s that had some drawings on it because I liked the dark brown texture that added. 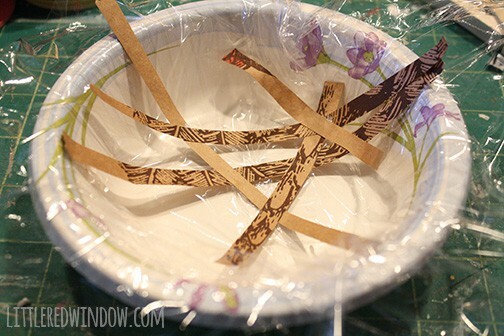 Then line a small bowl with plastic wrap and begin laying the strips overlapping inside it until it’s filled. Add a small dot of glue wherever they intersect. When it dries it will be surprisingly sturdy. Now on to the eggs! 1. 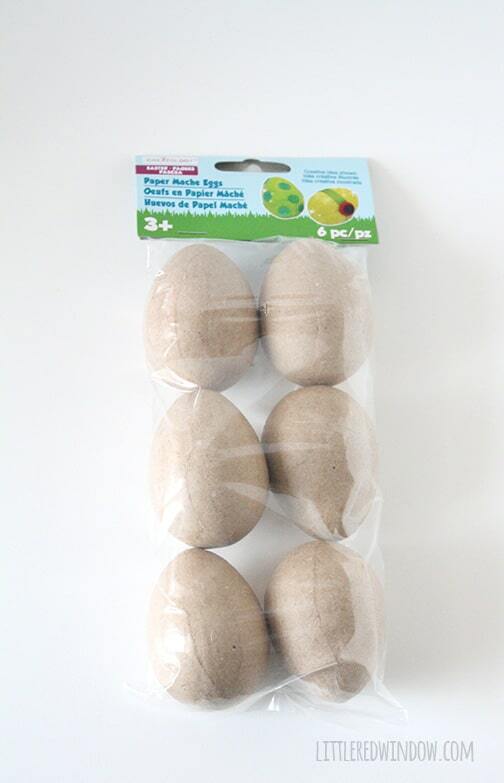 I got my craft paper eggs for $3.99 for 6 from the craft store. But I also had a 40% off coupon so they were even less. At this time of year they were with all the Easter stuff but usually they have them in the unpainted shapes aisle. 2. I grabbed two different sizes of doilies (they were in the cake decorating section at my store) because I liked the different patterns they had. 3. 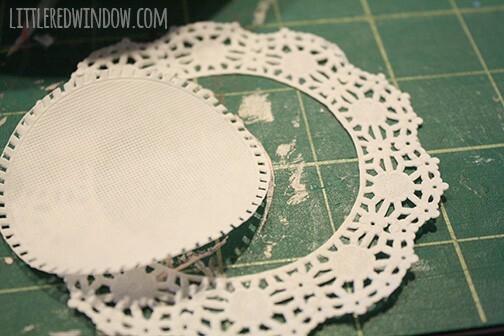 Then, after a little plotting I used my exacto knife to start cutting shapes out of the doilies. Need examples? So for the small round doilies, I cut out the center so I had a long curved strip of lace. 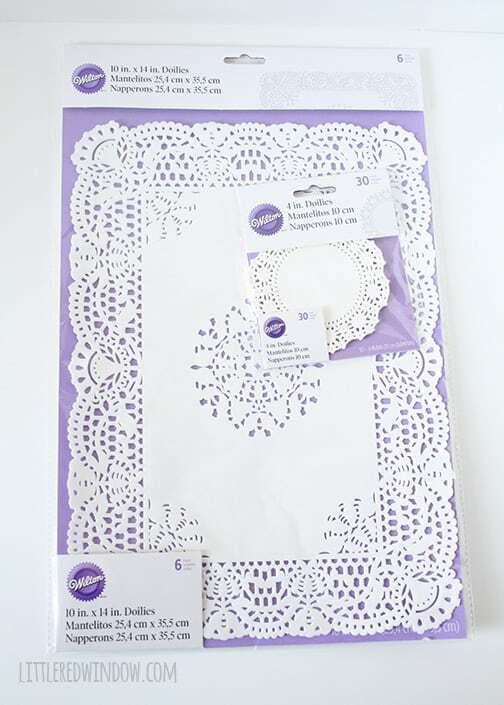 Then for the large doilies, I found tons of cool shapes and motifs hidden within the lace pattern. 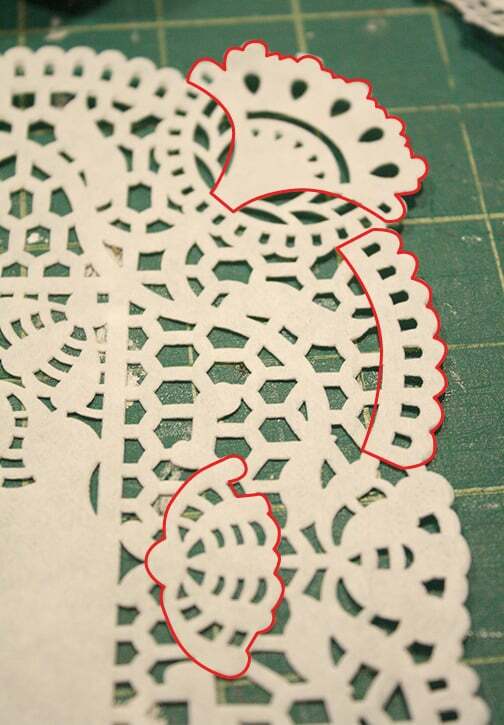 The shapes I outlines in red were a few of the motifs I cut out. You don’t want anything too big or it will be difficult to get it to conform to the curved surface of the egg without wrinkling. 3. 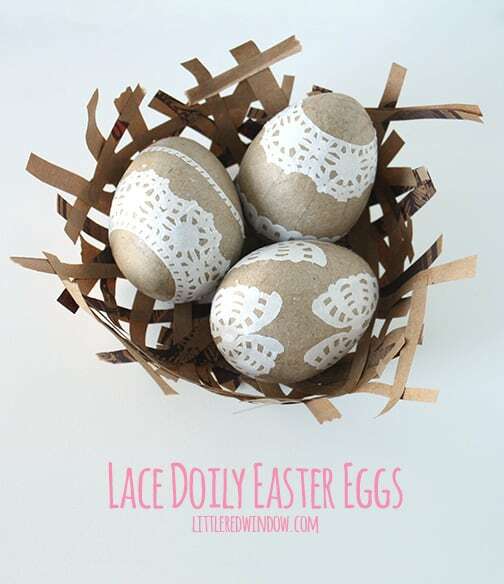 Then, I brushed some matte mod podge on the back of the lace pieces and carefully applied them to the eggs. It took some strategizing to figure out how they would lay the best. 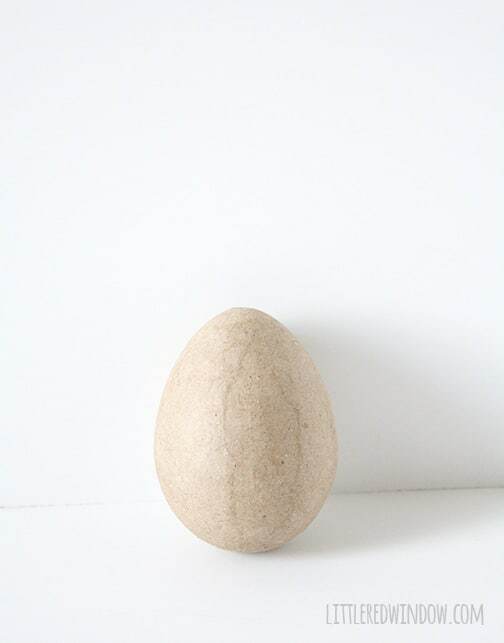 And I would definitely recommend a matte product like this (no, this is not a mod podge ad, I just like it) because if it seeped out onto the egg, you couldn’t see it at all when it dried. 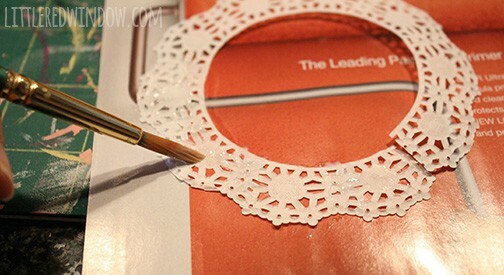 If there were wrinkles I put a little mod podge on top of the lace and smoothed it with my fingers. Unfortunately I don’t have any pictures of this part because this was kind of a sticky job and I couldn’t pick up my camera. But I hope you get the idea? The result was pretty lace eggs. They’re a little more sophisticated than your average Easter egg and I definitely won’t get tired of looking at them before the holiday season is over! Even if Easter is over, I sure do love these!! Thanks for sharing at our link it or lump it party! My husband’s Easter Bunny hid his entire basket in the yard! Now our’s does too! Ha! You must live somewhere warm, Ashley! Thanks for stopping by! Thanks Deborah! My little one is only 3 and so we’re having my dad hide plastic eggs this year…just in case! lol! I wouldn’t have thought about an umbrella being in the fridge either. I wonder how your “Easter Bunny” comes up with these hiding ideas. When I saw this post linked up to That’s Fresh Friday I thought it might be yours! You always have such cute crafts and gorgeous pics. This is one of the feature’s on this week’s That’s Fresh Friday!! I hope you keep linking up your lovely projects. Aww, thanks Kathy! that’s so nice! I struggle with the light in our apartment SO much, it makes me really really happy to get a compliment on my photos! These are so pretty, love them! 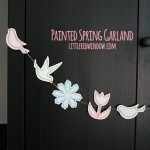 Just stopping by to pin this and let you know I featured it on my blog today! This is one of the most beautiful egg projects I’ve ever seen! I also love the contrast between the brown craft paper and white lace. Thanks so much for sharing on Hump Day Happenings! How adorable! And so much fun to make. 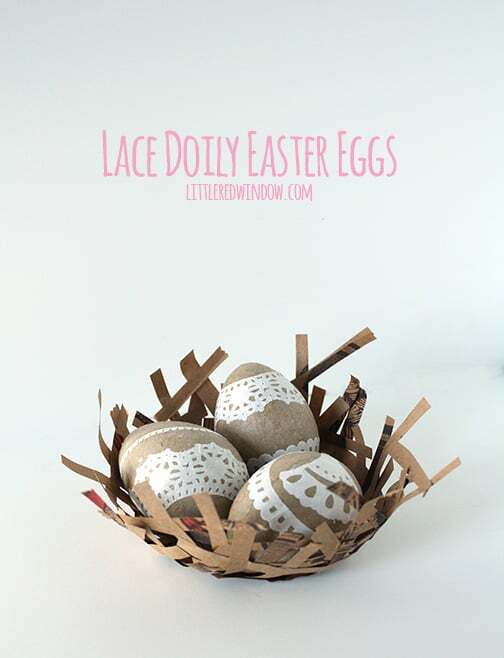 I love this idea of making doily Easter eggs as a craft instead of using hardboiled eggs, too. I can see it going over well with young kids! Also, this was one of my favorite from last week’s That’s Fresh Friday! I’ll be sharing it tomorrow evening as one of my favorites from the week, so thanks for sharing! Thanks Erin, can’t wait to see it! 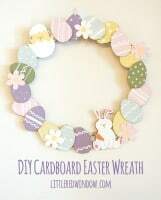 I love this idea because it’s really unique and not your typical Easter colors. Thanks for sharing with Hump Day Happenings. These are so cute and I have A TON of paper doilies left over from our wedding that I could use on these. Thanks for sharing at The Makers! Stopping in from The Blackberry Vine Linky. The eggs AND the nest are super cute! I love them! These eggs are cute. I love your Easter story it reminds me of when I was a kid too although neither of my parents were quite as creative as your Dad. But my sisters and I always died Easter eggs. They loved egg salad, but I can agree with Aa, I may not hate them but I really don’t like them except for deviled eggs. Thanks for sharing this with Great Idea Thursdays I’m featuring this. (it brings back great memories). These are adorable! 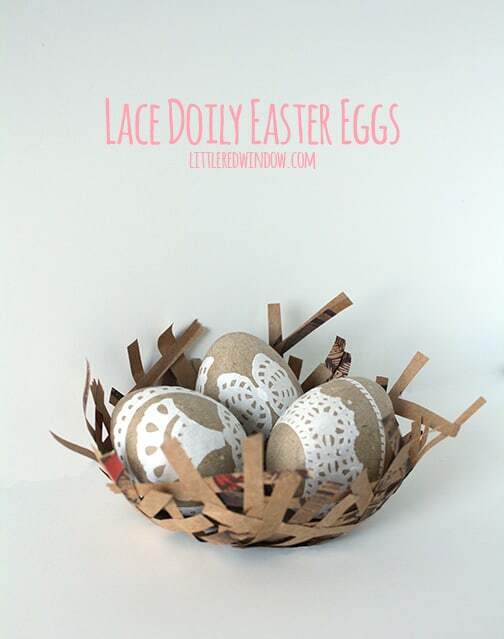 Adding these eggs to my list! These are so clever and cute! Happy spring! These are so cute!!! I have never thought about using craft eggs. And they would last from year to year.